The four condemned killers of both American USAID officer John Granville and his driver Abdel Rahman Abbas shocked most Sudanese when they made a dramatic escape from North Khartoum’s Khober Prison, the first escape since the notorious prison’s construction by British imperialists in the late 19th century. The four escapees, who were awaiting execution, were supposedly shackled hand and foot (as are all condemned men in the prison), but nonetheless escaped through a sewage pipe leading to a main street. The men were then picked up by a Toyota Land Cruiser which fled with the fugitives. When the vehicle reached a police checkpoint on the northern outskirts of Omdurman the fugitives opened fire, killing one police officer. A second police car tried to follow the Land Cruiser at high speed, but rolled off the road. The Land Cruiser was later recovered with four flat tires, deflated by police bullets (Sudan Tribune, June 12; June 13). The driver of the car was reported to have been arrested, but the four escapees managed to flee on foot (Reuters, June 11). Though the search has focused locally on the Abu Halif area southwest of Omdurman, Sudanese authorities have also asked Interpol for assistance, suggesting investigators may believe the men have left the country (Sudan Tribune, June 13). Granville and Abbas were killed while returning from a Khartoum New Year’s Party in the early hours of January 1, 2008. The attack on Granville came only one day after then U.S. President George Bush signed the “Sudan Accountability and Divestment Act,” a bill drafted in response to Khartoum’s alleged genocide in Darfur. The Granville family’s Sudanese lawyer, Taha Ibrahim, claimed the escape was a “political partnership that took place from inside and outside Sudan” and suggested the four fugitives might be headed for lawless Somalia (Asharq al-Awsat, June 12). The condemned men had the opportunity under Islamic law of having the death penalty waived if the consent of the aggrieved families could be obtained. While the Abbas family consented, the Granville family did not, saying that Sudanese law did not provide the alternative of a life sentence and was thus unable to ensure the men would not kill again. The exact allegiance of the fugitives (if any) has never been determined. In the days after the dual murders, claims of responsibility were issued by both Ansar al-Tawhid (Supporters of Monotheism) and the previously unknown al-Qaeda in the Land of the Two Niles (AFP, January 4, 2008; Asharq al-Awsat, October 12, 2008). The government disputed the existence of both organizations and the suspects were never charged with belonging to either one during the trial (see Terrorism Focus, February 6, 2009). One of the fugitives, Abdul Raouf Abu Zaid Muhammad, is the son of the leader of Sudan’s Ansar al-Sunna al-Muhammadiya, a Salafist religious group whose mosques have been the target of bloody assaults by rival Islamists. The movement has difficulties with the regime, but is largely non-political and was not implicated in the murders. After the escape, a joint investigation committee was formed between officials of the Ministry of the Interior and the Ministry of Justice and there are reports that the investigation is now focusing on the warden of Kober Prison (al-Ayyam [Khartoum], June 15). Few in Khartoum believe an escape from Kober Prison could be managed without some type of inside cooperation. Though the brick-built prison by the Blue Nile is well-known in Sudan for its executions and amputations, the staff is generally regarded as professional. Despite overcrowding and infernal summer heat in the cells, the prison is still considered a safe alternative to the regime’s infamous “ghost houses”– off-the-books detention centers with no accountability for the treatment or even survival of their inmates. A wing of Kober Prison is dedicated to high-profile political prisoners who are better treated and separated from criminal inmates by a wall. Some of the nation’s most famous politicians have spent time in Kober, including Islamist Hassan al-Turabi, current vice-president Ali Osman Muhammad Taha, Umma Party leader and former president Sadiq al-Mahdi and Democratic Unionist Party leader Muhammad Osman al-Mirghani. Roughly 100 members of Darfur’s Justice and Equality Movement (JEM) are in Kober Prison awaiting execution for their role in the 2008 raid on Omdurman. Will al-Qaeda Survive the Loss of its Leadership? 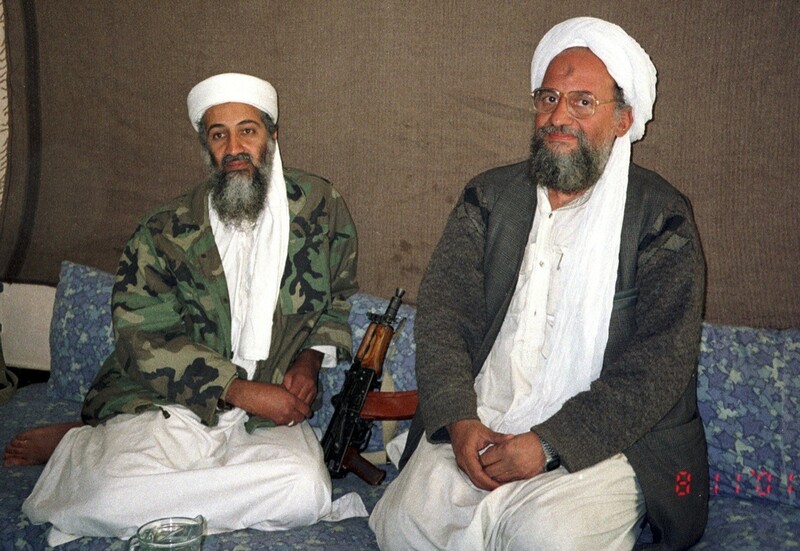 With rumors emerging once again of the death of Osama bin Laden, it seems like an appropriate time to examine the future of al-Qaeda in the event of the elimination of Bin Laden and his Egyptian second-in-command, Dr. Ayman al-Zawahiri. Both Bin Laden and al-Zawahiri have been rumored to be dead before, but with the American drone campaign continuing to take out high level al-Qaeda personnel on the Afghan-Pakistan frontier, there is every possibility that we might soon wake up to a world without Bin Laden or his Egyptian deputy and be faced with the question of just what that means for global security. How Important is Bin Laden Anyway? Bin Laden is not a religious scholar; he is not a military planner; he is not even a politician. He will, however, always be the man who brought down the twin towers and struck the Pentagon itself. Beside that, he is a Saudi. This is an important consideration in a movement that has always lacked qualified or inspiring religious scholars in its leadership – at least having a Saudi from the Land of the Two Holy Places (Mecca and Medina) at the top of the al-Qaeda totem pole gives some veneer of respectability to the organization. In the event of his demise, the calculating and ruthless al-Zawahiri appears to be an uninspiring choice for leader, despite his importance in day to day operations. Beyond al-Zawahiri there is little evidence of a plan of succession, and as notable figures in the movement continue to be reaped by the American drone campaign the number of well-known possibilities continues to shrink. As we approach the tenth anniversary of the 9/11 attacks, al-Qaeda still has nothing resembling a coherent political program other than promises of some ill-defined Caliphate. In this sense they have been far outstripped by Islamist movements like Egypt’s Muslim Brothers, who have passed through violent radicalism into grass-roots political development based on thoroughly planned communications, education and recruitment programs (see ikhwanweb.com). The Brotherhood has so efficiently monopolized Islamist politics in Egypt that al-Qaeda has made few inroads into the Arab world’s largest nation since al-Zawahiri and several of his colleagues fled Egypt for Afghanistan in 1998. Sudan, a country where the local Muslim Brothers share power with the military, is similarly free of al-Qaeda activity since the departure of Bin Laden in the mid-1990s. Hizb ut-Tahrir, strong in Asia and the UK, is another international Islamist movement that will probably outlast al-Qaeda as a political force. Much of HuT’s success in Central and South Asia has been gained through pamphleteering rather than terrorism. Large-scale and well-funded conservative missionary movements like the Tablighi Jamaat, though not specifically political in nature, will continue to create conditions abroad that will foster the growth of political Islam. While Bin Laden’s bombs and audiotapes dominate the headlines, more thoughtful organizations are steadily advancing the Islamist project without him, and in some cases, despite him. For some years now, the Taliban have been practically synonymous with al-Qaeda – indeed, some media operations find it difficult (or possess an unwillingness) to distinguish between the two. The reality, however, is that the Taliban is a well developed ethnic-political-religious movement that ruled a nation (however crudely) when al-Qaeda was little more than a group of fugitives seeking refuge at their gate. There is little question today that the Taliban’s relationship with Pakistan’s Inter-Services Intelligence (ISI) is more important to it than its relationship with al-Qaeda, which cannot offer anything comparable in terms of intelligence and political and financial support. Taliban strategists have already realized that continued association with al-Qaeda complicates the possibility of a negotiated settlement with Kabul that would receive international approval, a necessary first step in returning to power. Considering what the Taliban has so far invested in its defense of al-Qaeda leaders and its own Pashtunwali code, it is difficult for the movement to renounce al-Qaeda altogether. The Taliban leadership has, however, begun distancing itself from al-Qaeda (Afghan Islamic Press, April 21, 2009). Many Taliban leaders have long resented the loss of Taliban-ruled Afghanistan due to the arrogance of Bin Laden and his Arab entourage. The elimination of Bin Laden and al-Zawahiri would certainly create conditions for the Taliban to cut itself loose from the rest of al-Qaeda, which represents little more than a political weight to the movement. Otherwise, the Taliban will continue to pursue a dual strategy of making the foreign occupation forces as uncomfortable as possible while demonstrating to the Karzai government that it cannot rule a post-occupation Afghanistan without bringing the Taliban into the government. Across the border, the Tehrik-e-Taliban Pakistan (TTP) may make respectful noises about Bin Laden and his exiled comrades, but in reality the movement already looks to their fellow Pashtun tribesmen, Mullah Omar and the leadership of the “Islamic Emirate (of Afghanistan),” for guidance, mediation and inspiration. How Much Operational Control Does al-Qaeda Central Exercise? Regional commands appear to have replaced a centralized command structure in al-Qaeda. In practice, however, this is more like issuing charters than opening chapters. The most important of these are regional commands like al-Qaeda in the Arabian Peninsula (AQAP), al-Qaeda in the Islamic Maghreb (AQIM) and al-Qaeda in Iraq (AQI). The financial strength of Bin Laden is largely overrated – there has been little evidence of core al-Qaeda’s ability to fund anyone for some years now. This may be through difficulties in transferring funds under new financial regulations or because Bin Laden has largely exhausted his funds, or some measure of both factors. Militant funding is now done through internal networks and is no longer directed from the center. There appears to be little operational cooperation or coordination between the regional commands. To some degree, the possibility of infiltration by intelligence or security agencies precludes cooperation with individuals not personally known to al-Qaeda operatives. Combined with expanding communications surveillance, this makes coordination or central direction extremely difficult. Al-Zawahiri’s criticism of Abu Musab al-Zarqawi’s brutal pursuit of sectarian violence as leader of al-Qaeda in Iraq demonstrates a lack of effective central control of one of the movement’s largest commands. Perhaps predictably, AQAP has proven the most receptive to tactical advice from al-Qaeda central, but otherwise the movement is very much under the command of experienced local jihad leaders like Nasir al-Wuhayshi (a.k.a. Abu Basir) (al-Jazeera, May 16). Of the three major al-Qaeda commands, AQAP may be the most likely to make a continued go of it on its own while still adhering to the basic al-Qaeda ideology should the core leadership collapse. In North Africa, however, AQIM, appears to be steadily sliding into criminality rather than political/religious insurgency – the lure of kidnapping ransoms and the financial rewards of drug trafficking seem to be turning AQIM into the North African version of the Philippines’ Abu Sayyaf movement, a criminal organization which uses the rhetoric of Islamism to justify its otherwise indefensible behavior. Infiltration, suspicion and rivalry all sap AQIM’s effectiveness as a jihad movement. The radical Salafism espoused by al-Qaeda has benefited enormously from Saudi Arabia’s continuing use of its oil wealth to promulgate Saudi-style Wahhabism throughout the Islamic world. Nevertheless, there is resistance from other well-established forms of Islam to the austere measures of the Salafists. Al-Qaeda opposition to Sufism, Shi’ism and virtually every form of Islam except their own vision of Salafi-Jihadism will always limit the growth of the movement. With Saudi money and the active missionary work of religiously conservative groups such as the Tablighi Jamaat, Salafism will continue to grow, but the question is whether al-Qaeda will continue to grow in parallel with it. Though there has always been an attraction in Salafist Islam to takfir (the practice of declaring Muslims apostate and hence eligible for execution), for al-Qaeda the practice of takfir has almost become a new pillar of Islam. In the hands of scholars like the 14th century’s Ibn Taymiyya, takfir was a means of preserving the Islamic community from the nominally Muslim Mongol hordes. In al-Qaeda’s unskillful hands, takfir has caused dissension throughout the Islamic community and caused the deaths of thousands of Muslims. Al-Qaeda would have difficulty finding responsible Islamic scholars who would support the idea that deciding which Muslims are or are not apostate should be placed in the hands of gunmen. In Somalia, al-Shabaab diverted its energy from pursuing its assault on Mogadishu to open a new campaign against Sufism, even though most Somalis are associated with one of the traditional Somali Sufi orders. Sufi shrines and tombs of notable Sufis were smashed with hammers and their contents strewn through the desert (Raxanreeb.com, March 24). Unsurprisingly, this did not result in a military or religious triumph for al-Shabaab; to the contrary, this campaign inspired the development of a new and powerful Sufi militia (al-Sunnah wa’l-Jama’a) that has propped up the tottering Transitional Federal Government by offering determined resistance to al-Shabaab’s efforts at expansion. Both AQI and al-Shabaab took their cues from the sectarian, takfiri rhetoric of core al-Qaeda. In the first case it resulted in a nearly insurmountable setback; in the second it placed a formidable roadblock to further success. If there is central planning at work here, it is clearly not reality-based. Al-Qaeda central command will inevitably move from northwest Pakistan if the current leadership is eliminated. Bin Laden and al-Zawahiri’s presence there is enforced. While inaccessibility has advantages for a fugitive, it has little to recommend it to the self-styled leader of a global jihad. The survival of Bin Laden and al-Zawahiri to this point seems rather remarkable, particularly if this has been achieved without the intervention of some external agency or facilitator. Will their successors be as fortunate, or will their own deaths follow in quick succession? More likely, we will be looking at the end of “al-Qaeda Central”, already a largely symbolic institution. Jihad is not a new concept; what is new is al-Qaeda’s attempt to impose a cookie-cutter Salafist interpretation of jihad that focuses on terrorism rather than military resistance. The very nature of this phenomenon precludes its success, something that has become apparent to many disenchanted jihadis, some of whom have issued “Revisions” questioning the legitimacy of al-Qaeda’s relentless pursuit of violence as a religious and political measure. While some of these individuals have renounced violence, others will continue jihad under their own terms and without spiritual or strategic direction from “core al-Qaeda.” Sooner or later, the future of the global jihad will be in their hands. Will India Deploy Its Army against Maoist Terrorists? India is considering a large-scale redeployment of specialized counterterrorist commandos based in Kashmir-Jammu and a paramilitary force based in Northeast India to combat a growing Naxalite (Maoist) insurgency in East India. With nearly 300 deaths attributable to Naxalite violence since April, there is concern that existing security forces are losing their grip over the region. The deliberate May 28 derailment of the Jnaneswari Express that killed 150 people appears to have convinced the Home Ministry that new measures were needed to deal with the Maoists (Telegraph [Kolkota], June 8; The Hindu, June 12). The new plan calls for the redeployment of roughly 10,000 men in 10 battalions drawn from the Rashtriya Rifles and the Assam Rifles. The force would operate across four states, Jharkhand, Bengal, Orissa and Chhattisgarh, to aid the existing state police and federal paramilitary forces. The heartland of the insurgency is in the thick forests of Dantewada in Chattisgarh state. 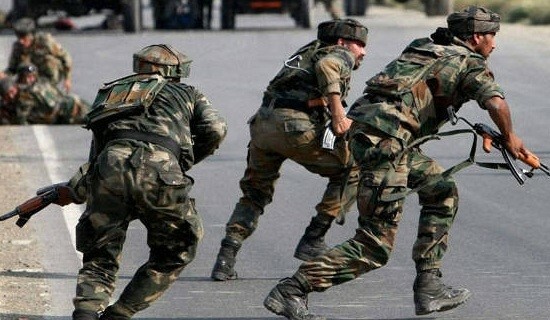 The Home Ministry is also calling for the Armed Forces Special Powers Act to be imposed on the region in order to give the military a freer hand in conducting operations. A June 10 Meeting of the Cabinet Committee on Security (CCS) led by Prime Minister Manmohan Singh failed to come to a decision about the redeployment. Home Minister P. Chidambaram’s requests for Army support in the Eastern states were rebuffed by Defense Minister A.K. Antony, who opposes weakening forces currently deployed near the borders with China and Pakistan (Times of India, June 11). Chidambaram’s presentation may have been better received by the Prime Minister, who recently identified the Naxalites as the greatest internal threat to India’s security.. It is expected the CCS will meet again soon on the issue. More specifically, the Army turned down calls for mine-clearing teams to operate in the region, saying such teams could not operate without the prior establishment of intelligence networks and control of the region by infantry forces. Similarly, the use of Special Forces could not happen until the infantry had already taken control on the ground. The Special Forces could not be asked to hold ground, only carry out targeted operations (Chandigarh Tribune, June 1; Times of India, June 11). The Assam Rifles is a paramilitary organization with 46 battalions reporting to the Home Ministry but operating under the administrative and operational control of the Indian Army. The unit was originally raised as the Cachar Levy by the British in 1835 for use as a police force against the tribes of the Northeast. Their mission expanded during World War One, when they served in Europe and the Middle East as part of Britain’s Gurkha regiments. In World War Two they served closer to home against the Japanese in Burma. The Rifles also fought a successful delaying action against the Chinese in the high-altitude Sino-Indian War of 1962. 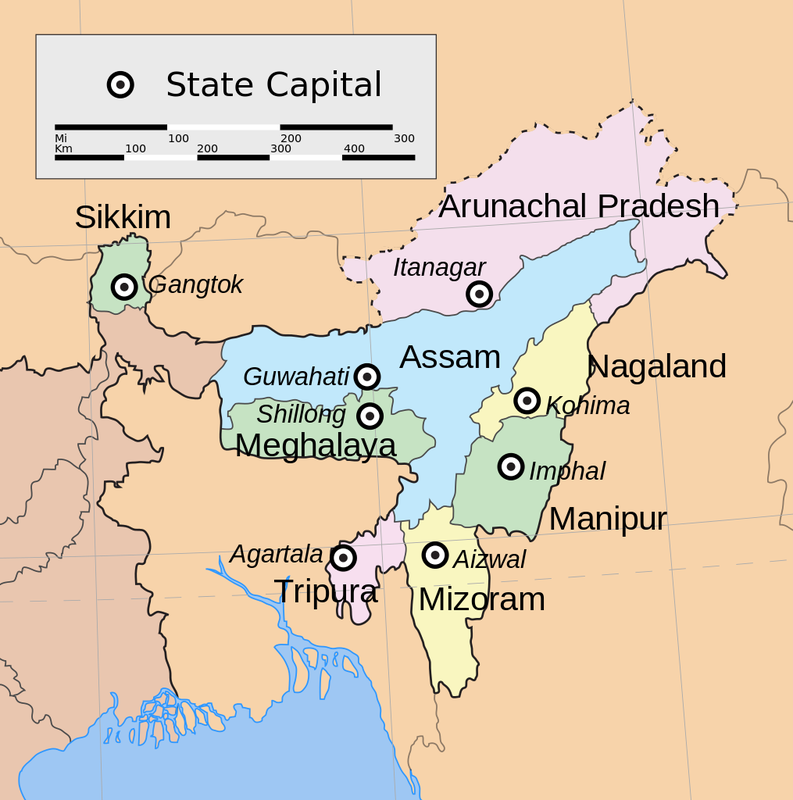 These days the Assam Rifles are occupied with small operations against Northeastern insurgent groups such as the People’s Revolutionary Party of Kangleipak (PREPAK), the tribal Zou People’s Army (ZPA), the United National Liberation Front (UNLF – seeking independence for Manipur state) and the National Socialist Council of Nagaland (NSCN) (Sangai Express, June 9; Nagaland Post, June 1; Hueiyen News Service, June 7; Imphal Free Press, June 6). Eighty-five percent of the Assam Rifles is officered by regular army officers on three year assignments and recruiting is now carried out across India (IndiaDefence.com, June 19, 2007). The much newer Rashtriya Rifles consists of 40,000 men organized in five Counter Insurgency Forces (CIF) named Delta, Kilo, Romeo, Uniform and Victor. The Rashtriya Rifles is an elite counterterrorism unit first raised in 1990 to exclusively tackle terrorists and insurgents active in India’s Jammu-Kashmir region. The force is lightly armed but has established a reputation for effectiveness. Personnel are drawn from all Army services and earn additional pay and benefits while serving in the counterterrorist force. Men and officers usually spend four to five years in the unit before returning to the regular army (India Today, June 2). The Indian Air Force (IAF) will also be asked to do more. At present, the IAF has four helicopters on rescue and evacuation duties in the region, but will land only when a site has been completely secured, even if the mission calls for the evacuation of wounded troops (Telegraph [Calcutta], June 8). The Home Ministry is looking for Russian-built Mi-17 helicopters to help ground forces with transport, surveillance and evacuation (Chandigarh Tribune, June 10; India Today, June 2). Unmanned Aerial Vehicles (UAVs) have been offered instead. If a decision to redeploy is not made soon, the onset of the June-September Indian monsoon season may postpone any mass movement of troops and equipment. There are also signs that the Maoists may make a transfer of the Assam Rifles difficult by intensifying insurgent activities in Northeast India (Asian Age [Mumbai], June 8). The Government of South Sudan (GoSS) continues to struggle with renegades who have broken away from GoSS security forces after losing in local elections in April to official candidates of the Sudan Peoples Liberation Movement (SPLM). The latest commander to take up arms against the Sudan People’s Liberation Army (SPLA – the armed wing of the SPLM) is police Colonel Gatluak Gai (a.k.a. Galwak Gai), who called a Khartoum daily to announce his men had taken 27 machine guns with the intention of joining the forces of another renegade, Lieutenant General George Athor Deng (Al-Ra’y al-Amm [Khartoum], May 29). SPLA spokesman General Kuol Diem Kuol claims that Colonel Gai is working to further the interests of the ruling National Congress Party (NCP) in Khartoum and to “disturb security” in Unity State (Sudan Tribune, May 29). On June 2, Colonel Gai’s loyalists engaged in a firefight with SPLA troops, with a combined loss of nine lives. One of the captured Gai loyalists was reported by the SPLA to be a member of the Sudanese Armed Forces (SAF) (AFP, June 2). Colonel Gai’s followers were later defeated in a clash with the SPLA in Unity State’s Mayom County on June 7, in which 21 of his men were killed and 32 others captured. The SPLA reported Colonel Gai and an estimated 50 men had fled by night into a region of thick bush controlled by the Joint Integrated Units (JIU), forces composed of fighters drawn from both the SPLA and the SAF (Sudan Tribune, June 8). Colonel Gai and his fighters were last seen headed for the important Heglig oil field, a territory still disputed by Khartoum and the GoSS (Reuters, June 9). 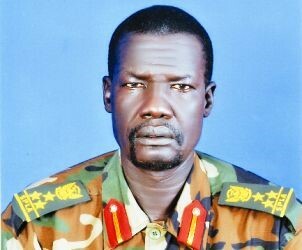 General George Athor Deng, another defeated candidate who is leading a rebellion in similarly oil-rich Jonglei State, announced on June 2 that he was coordinating operations with Colonel Gai and another failed electoral candidate, David Yauyau, also of Jonglei State (Reuters, June 1; June 9). Yauyau is a SPLA veteran who ran as the candidate of the United Democratic Front (UDF), a pro-independence Southern political party. Containing some of the largest oil reserves in Sudan, Unity (Wahda) State was part of the South’s Upper Nile Province until boundaries were reorganized in 1994. The state has been repeatedly ravaged by government troops, militias and tribal clashes since 1997, resulting in a massive displacement of the local population (Business Daily Africa, June 16). Exact boundaries between North and South in the area have yet to be determined with the Southern referendum on independence now just a year away. Unity State is a potential flashpoint that could reignite the civil war between North and South Sudan. The SPLM also faces dissension from a breakaway group, SPLM-Democratic Change (SPLM-DC). Elements of this group are believed responsible for the assassination of the paramount Shilluk chief, Peter Oyath, on May 22. SPLA forces reported clashing with SPLM-DC forces near Malakal international airport on June 6 (Sudan Tribune, June 8; June 10). However, SPLA spokesman General Kuol Diem Kuol has denied reports that SPLA forces entered Malakal (under JIU authority) to kidnap SPLM-DC politicians, including MP Mustafa Gai (Sudan Tribune, June 6). Hours before the deadly Israeli raid on the Mavi Marmara and other ships carrying humanitarian aid to Gaza, an assault on Turkey’s Iskenderun Naval Base left seven servicemen killed and six injured (Firat, May 31; Today’s Zaman, June 6). Though earlier reports indicated the attack was on the naval installation, Hatay Governor Mehmet Celalettin Lekesiz said later that PKK members fired on a military vehicle carrying troops to sentry posts with RPG-7 grenade launchers and “long-range weapons” (TurkishPress.com, May 31). Iskenderun Naval Base is located in the Hatay province of southern Turkey on the northeast coast of the Mediterranean Sea. The base hosts the largest of Turkey’s three naval training centers. Iskenderun is well outside the usual range of PKK military attacks, though the group has carried out terrorist bombings throughout Turkey. The deadly attack at Iskenderun came shortly after midnight, on the morning of May 31. A few hours later, Israeli commandos boarded six ships carrying humanitarian aid for Gaza in international waters, killing nine and injuring dozens more. All of the casualties were Turks, and the news of the event sparked large protests throughout the nation. Inevitably, news of the fatal attack on Iskenderun looked to many Turks like two sides of the same coin. The feeling was reflected at top levels across the political board; AKP Deputy Chairman Huseyin Celik remarked, “We do not think that it is a coincidence that these two attacks took place at the same time” (Today’s Zaman, June 2). After expressing regret over the losses at Iskenderun, CHP leader Kemal Kilicdaroglu stated, “At a time when the Israeli army continues military operations, it is meaningful that such an incident took place in Turkey” (Today’s Zaman, June 2). Turkish intelligence agencies are reported to be investigating any links between the raid on the flotilla and the attack on the naval base (Today’s Zaman, June 6). Funerals of the dead servicemen across Turkey were attended by prominent government officials and large numbers of mourners carrying flags and shouting slogans (Hurriyet, June 1). Turkey’s top military, intelligence and counterterrorism officials met with Prime Minister Recep Tayyip Erdogan on June 2 to discuss the two incidents. Following the meeting, Interior Minister Besir Atalay was cautious in his remarks, remarking, “I don’t want to say [these incidents] are related. Such investigations require close attention and we want to refrain from careless statements lacking tangibility… These subjects are delicate, especially when they have international dimensions” (Hurriyet, June 2; Today’s Zaman, June 3). Many in Turkey’s government and military recall revelations of former Israeli commandos training Kurdish airport security and members of the Kurdish peshmerga militia prior to 2005, when political questions over their apparently illegal status in northern Iraq forced them to withdraw (Yedioth Ahronoth, December 1, 2005; Ynet, December 1, 2005). The men were employed by Kudo, a private security company run by Shlomi Michaels, a business associate of former Mossad chief and previous Kudo partner Danny Yatom. In recent months there have been reports that the Israeli military trainers have returned and resumed training of elite Kurdish military forces (Arutz Sheva, February 5; Today’s Zaman, June 9). Sedat Laciner, head of the Ankara-based International Strategic Research Organization and a prominent commentator on Turkish security issues, noted that the Iskenderun attack was not typical of PKK operations. He suggested the PKK was acting as a “subcontractor” to Israel and was supported by ex-members of Mossad or the Israeli military. “It is normal that the PKK is trying to ally with Turkey’s enemies at this level… Israel also wants to show the ruling party of Turkey as something equal to Hamas. Israel wants to create such a bias in minds” (Journal of the Turkish Weekly, May 31). Other analysts pointed out that the apparent vulnerability of the Iskenderun region was of concern, given the concentration of new coal-fired and natural gas power plants in the area (Journal of the Turkish Weekly, June 5). In Jerusalem, Mossad Chief Meir Dagan told the Knesset that Turkey was forming a new anti-Israel coalition with Syria and Iran as part of the AKP’s aim of restoring Turkish power in the Middle East. Dagan said President Erdogan has “a dream of returning Turkey’s dominance through going down the Islamic hall. He believes that through Hamas and Palestinians, additional doors will be opened for him in the Arab street” (Jerusalem Post, June 2). Though the rhetoric on both sides is heated, there are signs that pragmatism will win the day. Turkey canceled three joint military exercises with Israel after the flotilla attack, but Defense Minister Vecdi Gonul said Turkey still expects delivery of four Israeli-made Heron unmanned aerial vehicles, part of a $190 million purchase of ten Heron UAVs. Other ongoing defense programs worth hundreds of millions of dollars are expected to continue (Hurriyet, June 3; World Tribune, June 2). Meanwhile, Turkish troops are reported to have taken losses in firefights with PKK fighters in southeastern Turkey’s Hakkari and Siirt provinces as the Kurdish rebel movement ends its ceasefire (Anatolia, June 1). 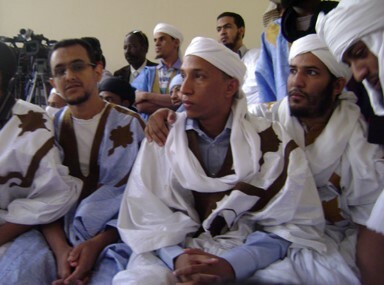 Following a short but dramatic trial, three self-proclaimed al-Qaeda members have been sentenced to death in Mauritania for their role in the murder of four French tourists in December 2007. The attack became known in Mauritania as “the Aleg case,” named after the small town near the murder site, about 250 km southwest of the capital of Nouakchott (see Terrorism Focus, January 9, 2008). A total of twelve men were tried for the murders; four in absentia, with the other eight kept within a wooden cage in the Nouakchott courtroom. Only three were accused of the actual murders; the others were charged with complicity. Spectators attending the trial had to pick their way through a phalanx of riot police deployed on the court steps, submit to three separate body searches and give up any bags or cell phones before entry. Women wearing veils were prevented from entering. Foreign reporters, however, were encouraged to attend and report the proceedings. The charges faced by the main accused, Maarouf Ould Haiba, Sida Ould Sidna and Mohamed Ould Chabarnou, included terrorism, premeditated murder and rebellion against the state. After the murders, Sidna and Chabarnou fled to Guinea-Bissau, where they were tracked and arrested by local police with the assistance of French intelligence services. Haiba was arrested soon afterwards in Nouakchott (Ennahar [Algiers], May 23, 2010). Though the three principal suspects (aged 22 to 29) insisted they were not responsible for the murders, they loudly proclaimed their membership in al-Qaeda, admitted their participation in al-Qaeda training camps and insisted their confessions had been extracted through torture. By demanding the death sentence, the prosecution put its own case in jeopardy. Important ballistics evidence obtained by French experts could not be used when Paris invoked its policy of refusing to allow experts to give evidence in capital cases. Other than that, there were no witnesses and few substantial exhibits in the three-day trial (al-Arabiya, May 25, 2010; Jeune Afrique, June 5, 2010; AFP, May 26, 2010). In court, the three accused taunted the judges with accusations of apostasy and proclaimed that it would have been a great honor to have killed the victims – if they had done it. Charbarnou even sang the Muezzin’s call to prayer during the proceedings (AFP, May 24, 2010; Walf Fadjiri [Dakar], May 26, 2010; Jeune Afrique, June 5, 2010). The accused said they were “Soldiers of Allah,” and were determined to continue their war against France, the United States and their acolytes (Casafree.com [Morocco], June 5, 2010). Sidi Ould Sidna said he was unconcerned about his fate. “The court is only applying criminal law, not Islamic law. That’s why we’re not concerned by these decisions” (AP, May 25, 2010). The sentences came down on May 25. The three principals in the case received the death sentences sought by the prosecutor, while the others received acquittals or short sentences ranging from six months to three years. 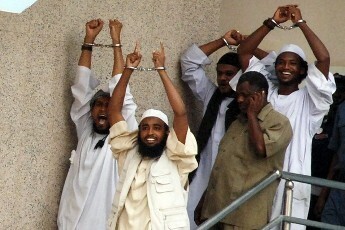 After the death sentences had been issued, the condemned men continued their political theater, beginning with Maarouf Ould Haiba, who shouted at the judge, “God is Great! You’ll see, dog, we’ll go to paradise!” Haiba then held up a black cloth inscribed with the Muslim profession of faith in white letters – “There is no God but God and Muhammad is his Messenger.” Sidi Ould Sidna turned to the five French citizens in attendance and drew his fingers across his throat in the universal slaughtering gesture while Mohamed Ould Chabarnou shouted, “Between us and the France of Sarkozy is the sword!” (Dawn [Karachi], May 26, 2010; Jeune Afrique, June 5, 2010). The death sentence was last applied in Mauritania in 1987, when three Black African officers were executed for planning a coup against the Bidan Moor-dominated government. While Mauritania has been considering abolition of the death penalty, death by both hanging and firing squad remain legal methods of execution (Le Quotidien de Nouackchott, May 26, 2010). All death sentences since 1987 have been commuted to life imprisonment, but there are indications the government may press for capital penalties in this case. The murders resulted in significant economic damage to Mauritania when the Paris-Dakar rally was canceled as a result of the attack. The country’s important tourism sector collapsed soon after. France, the former colonial power, also remains an important economic and political partner of Mauritania. Lawyers for the defendants filed an appeal the day after sentencing, citing the prosecution’s description of the ballistics evidence during the trial without having this evidence formally entered into the record (APA, May 26, 2010; AFP, May 26, 2010). This article first appeared in the June 10, 2010 issue of the Jamestown Foundation’s Terrorism Monitor. Developing supply lines to NATO forces in land-locked Afghanistan has required both logistical and diplomatic creativity. The shortest and technically easiest supply line runs from the port of Karachi through the Khyber Pass, but this is also the most insecure. One of several supply lines currently in use brings supplies by rail through Uzbekistan and Tajikistan into Afghanistan. 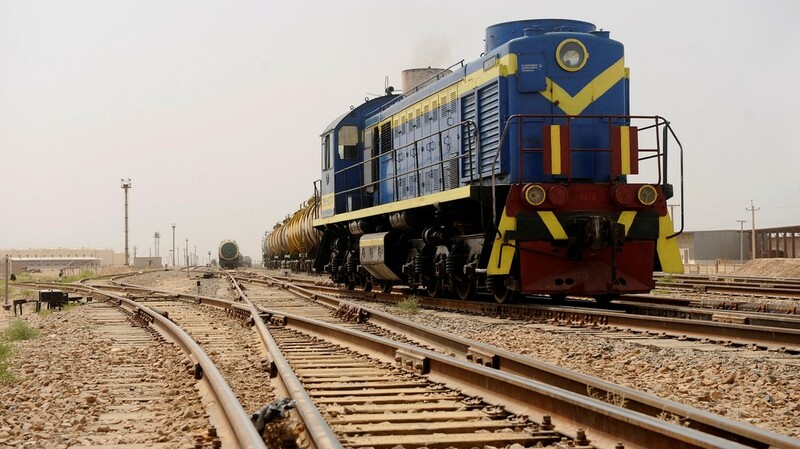 According to the deputy head of Tajik Railways, over 300 rail cars containing aviation fuel, oil and lubricants destined for NATO forces are parked on sidings in Uzbekistan (Eurasianet.org, May 26; Central Asia Online, May 26). They are among some 2,200 to 2,500 freight cars bound for Tajikistan that are being held on Uzbek territory (RFE/RL, May 26; Ferghana.ru, May 25). Tajik Railways say the delays began in February and are now preventing Tajikistan from exporting its fruit and vegetables (Daily Times [Lahore], May 26). On May 7, Uzbekistan imposed temporary restrictions on passenger and cargo transport to Tajikistan due to an outbreak of polio in Tajikistan (RFE/RL Tajik, May 25). In addition, floods along the Uzbekistan line to Termiz (the Uzbek rail terminus at the Afghan border where NATO supplies are offloaded for road transport into Afghanistan) were reported to have wiped out 11 kilometers of track. Uzbekistan says it does not have sufficient funds for repairs but has refused Tajik Railroad offers to rebuild that section at its own expense (RFE/RL Tajik, May 25). Lieutenant-Colonel Goetz Hasske, a spokesman for the International Security Assistance Force (ISAF) brushed off the impact of the delay, saying it was “not affecting logistics in the area. We have several border crossing points that we can use and we may have to reroute some shipments” (Moscow Times, May 26). Fuel is the most vital of the NATO supplies being shipped into Afghanistan. As such, fuel tankers are the most targeted vehicles crossing into Afghanistan. Units of the Tehrik-e-Taliban Pakistan (TTP) conduct regular attacks on tankers passing through Pakistan. While NATO is downplaying the impact of the supply obstruction in Uzbekistan, the delays raise further questions as to the reliability of Uzbekistan as a supply-chain partner beyond the immediate problem of replacing 300 tankers of fuel. On the bright side, the expected September completion of a connection between Afghanistan’s limited rail network at Marzar-i-Sharif and the Uzbek line at the border town of Termiz will enable some shipments to bypass Tajikistan (AFP, May 29). 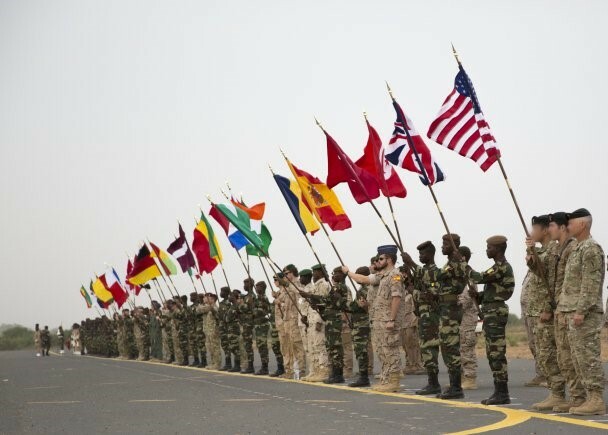 In the midst of a major drive to increase security in Africa’s Saharan and Sahel nations, American, African and European military forces have just concluded the latest version of Operation Flintlock (May 2-23), one in a series of multinational military exercises designed to foster and development international security cooperation in North and West Africa. The latest exercises came at a time of growing concerns over large-scale drug trafficking in the region and kidnappings carried out by elements of al-Qaeda in the Islamic Maghreb (AQIM). The maneuvers are conducted as part of the Trans-Sahara Counter Terrorism Partnership (TSCTP). 1200 soldiers participated in the latest maneuvers, including 600 U.S. Marines and Special Forces, units from France and Britain and smaller European contingents from Germany, Spain and the Netherlands (L’Essor [Bamako], May 5). African countries with military representation included Mali, Algeria, Burkina Faso, Niger, Mauritania, Nigeria, Chad, Senegal, Tunisia and Morocco. The exercises were headquartered out of a Multinational Coordination Center set up at Camp Baangre in the Burkina Faso capital of Ouagadougou. Malian Special Forces received training in responding to hostage-taking operations (as carried out by AQIM). Many of the Malian participants were veterans of fighting Tuareg rebels in northern Mali. The new participant in these exercises was Spain, once a formidable colonial power in Africa. Though the Flintlock command center in 2008 was at the Spanish-American joint use naval base at Rota, this was the first time Spanish troops joined the exercises. There were suggestions in 2008 from AFRICOM leader General William Ward that Rota might make a suitable permanent headquarters for AFRICOM—whose HQ is currently based in Stuttgart, Germany—as no African nation appears prepared to host it on the continent (El Pais, April 16). Other than the Spanish garrisons in the tiny coastal colonies of Ceuta and Melilla, it has been 16 years since the Spanish ended their military presence in Africa by withdrawing an air detachment in Equatorial Guinea (El Pais, May 24). The Spanish Defense Ministry withheld details on its participation for fear the mission might be mistaken for a rescue team going after two Spanish citizens currently being held hostage by AQIM (El Pais, May 24). Senegal was another new participant, sending 38 Special Forces soldiers. Their commander, Major Cheikhna Dieng, said their presence was part of Sengal’s preparations for al-Qaeda infiltration efforts (Agence de presse Sénéglaise, May 11). Senegal is over 90% Muslim. Despite the stated objective, there were apparently some concerns that the Senegalese Special Forces trained in Operation Flintlock might be deployed against separatists in southern Senegal’s Casamance region, where elements of the Mouvement des forces démocratiques de Casamance (MFDC) have been engaged in a low-level conflict with the government since the 1980s (Agence de presse Sénéglaise, May 11). Despite having the largest and most effective military in the Sahara region, Algeria has always been a small player in the exercises. Despite its efforts to draw Algeria into coordinated counterterrorism efforts, Washington’s reluctance to provide Algeria advanced military equipment due to Israeli objections has caused dissatisfaction in Algiers, which is now looking to its old Cold War supplier, Russia, for sophisticated military supplies it cannot obtain from the United States (El Khabar [Algiers], May 24; Khaleej Times [Dubai], May 4). The exercises began a week after Algeria, Mali, Mauritania, Chad and Burkina Faso, and Niger established a “Joint Operational Military Committee” at Tamanrasset on April 20, tasked with improving regional security and military cooperation. Libya initially signaled it would join, but later withdrew.